Ph.D. in Computer Science, 1982, UCLA, Los Angeles, CA. Dr. Raghavendra is a Professor in the Ming Hsieh Department of Electrical Engineering-Systems at the University of Southern California, Los Angeles. 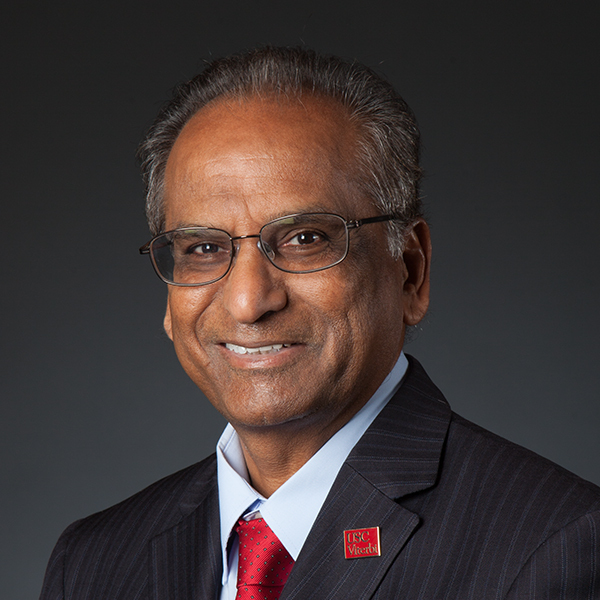 Previously, he was a faculty in the Department of Electrical Engineering-Systems at USC from 1982-1992, as Boeing Chair Professor of Computer Engineering in the School of Electrical Engineering and Computer Science at the Washington State University in Pullman, from 1992-1997, and with The Aerospace Corporation from August 1997-2001. At Aerospace, he led research projects in high performance networks and in wireless networks. He has consulted with several companies including Lucent Technologies Bell Labs, Hughes, and TRW. Dr. Raghavendra is a recipient of the Presidential Young Investigator Award in 1985 and became a Fellow of the IEEE in 1997. He is co-author of edited books on Interconnection Networks and Active Middleware Services. He is the Editor-in-Chief for special issues in Cluster Computing Journal , Co-Editor-in-Chief for a book series on Network Theory and Applications , both by Kluwer Academic Pulishers. He is also a subject area editor for the Journal of Parallel and Distributed Computing, published by Academic press. Dr. Raghavendra's research interests are in parallel and distributed computing, computer networks, energy efficient protocols for wireless and sensor networks, and active networks. He has published extensively in parallel and distributed systems, reliability and fault tolerance, and wireless networks. His recent work is on power aware communication protocols and algorithms for wireless ad hoc networks and sensor networks. He has developed power aware channel access (PAMAS), routing, and broadcasting protocols for wireless ad hoc networks. Dr. Raghavendra has also worked at The Aerospace Corporation where his research was supported by internal projects in networks and high performance computing. At Aerospace, he led a joint research project with MITRE called ``SLAMMM'', where protocols for access, routing, and multicasting were developed for satellite and mobile tactical Internet. He is currently directing research of several graduate students at USC in DARPA funded projects in Active Networks (AERO), Power Aware Computing and Communications for wireless and sensor networks (PACMAN), and distributed signal processing over wireless networks.